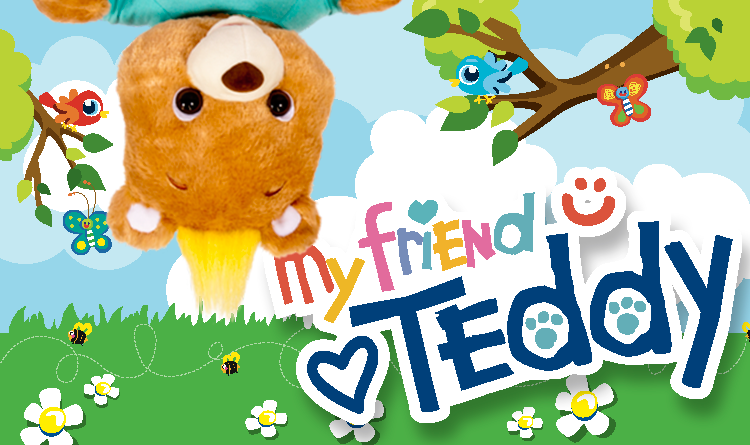 My Friend Teddy is the soft, plush, lovable and interactive teddy for children ages 2+. 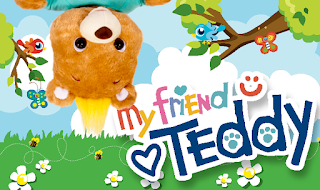 My Friend Teddy is your kids first friend that that really knows and interacts with your child. My Friend Teddy can answer questions, understand and chat, tell stories and play games. You start your journey with your new friend by downloading the free app via ios or an android. My Friend Teddy works with Bluetooth technology and is part of the kid-safe internet. 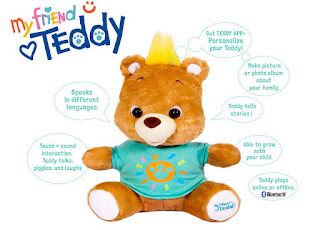 My Friend Teddy is very easy to program via the app and is ready to learn all about your child. I love the fact that is sweet teddy is so cuddly soft...pure sweetness and a learning tool all in one. My Friend Teddy is the perfect mix of the old school teddy bear we all know and love and new world technology that children are all into these days. I love seeing my sons amazement as My Friend Teddy reads him stories and plays games with him. My Friend Teddy would make the perfect gift this holiday season. companion, as well as a development tool for preschoolers. Parents are able to customize child specific information, such as favorite characters, family names, and birthdays, and Teddy will incorporate them into his engaging interactive and storytelling dialogue. MY FRIEND TEDDY also features numerous activities to further enhance motor skills and language development, via interactive learning games, counting exercises while offering multiple degrees of complexity built in, allowing parents to adjust learning levels appropriately as the child develops.